High Quality, Low Cost, Latex Exercise Band. The economical choice when the preferred color sequence is desired. 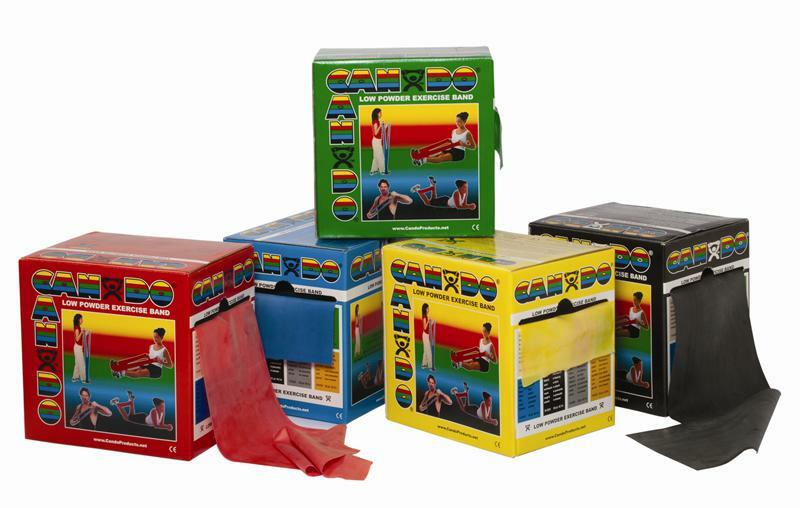 CanDo latex exercise band has been used by clinics and individuals since 1987. CanDo band is used for rehabilitation, conditioning and training. Low Powder Formulation is clean and cost-effective. We stock 6 progressive levels of resistance to accommodate the lightest to heaviest exercise therapy. Purchase exercise band with the colors that you are used to, at a price you want to pay!